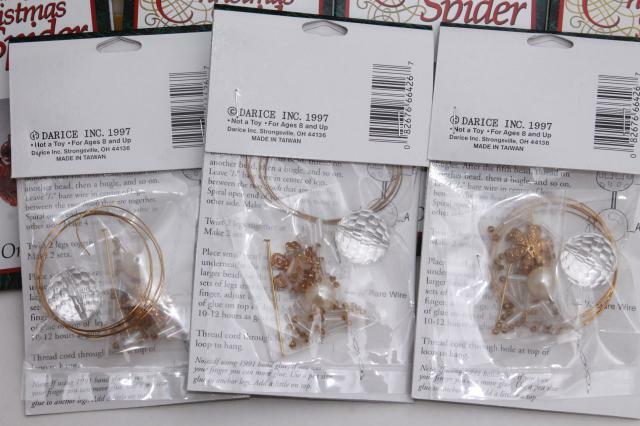 Vintage craft kits lot, entire lot shown in the first photo. 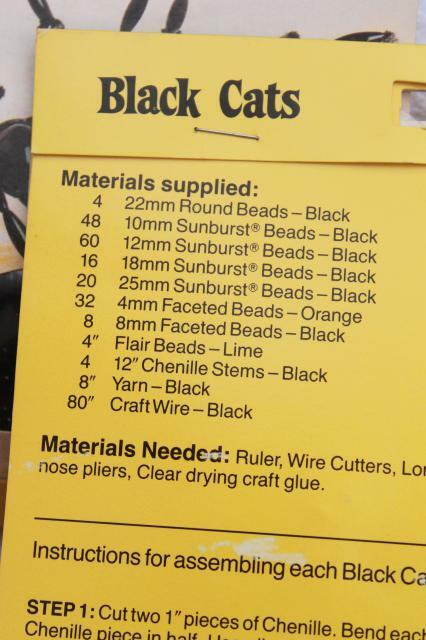 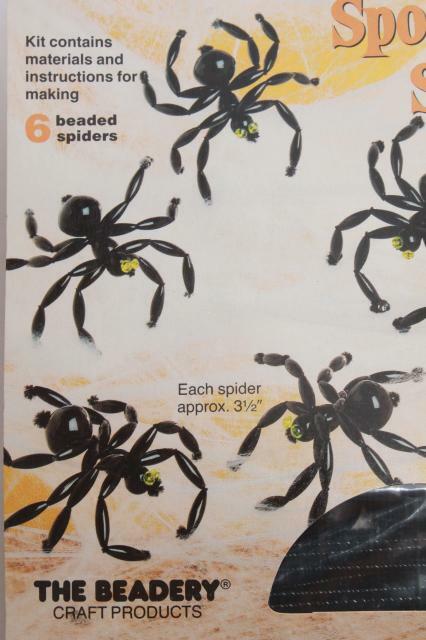 Some of these kits are for Halloween decorations, and some are for Christmas ornaments. 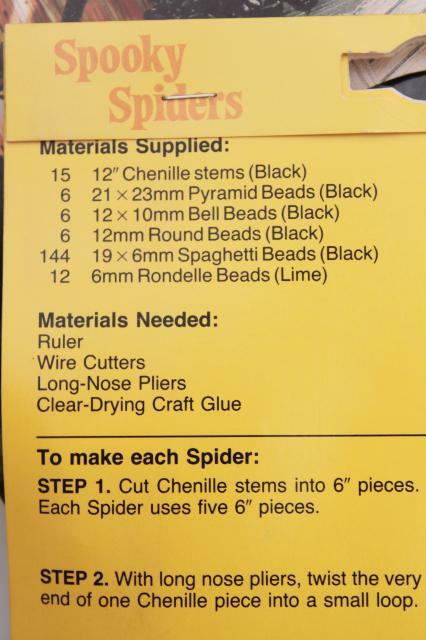 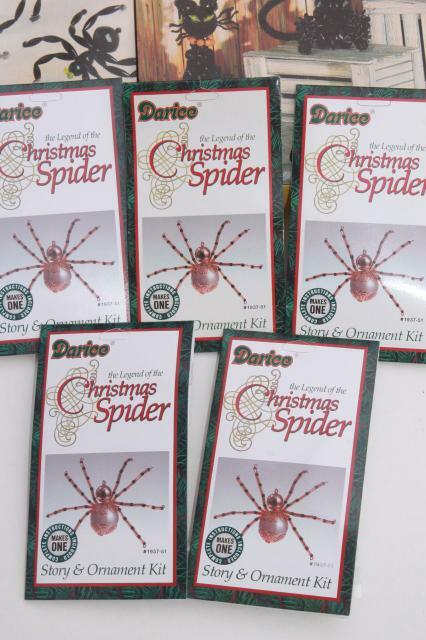 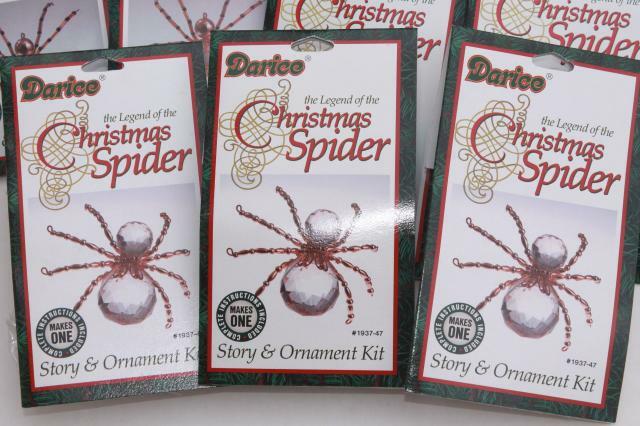 The Christmas Spiders have plastic 'crystal' beads, bodies about 1" in diameter. 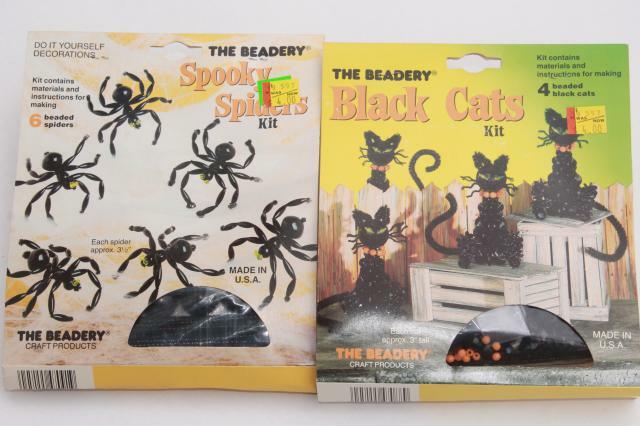 The Halloween kits have plastic beads, too - and all of the kits are complete and sealed. 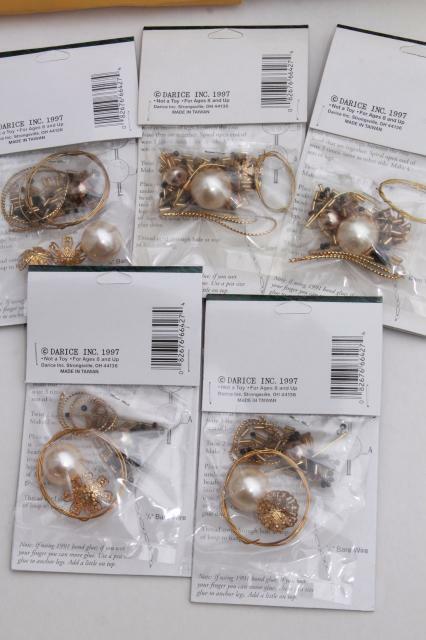 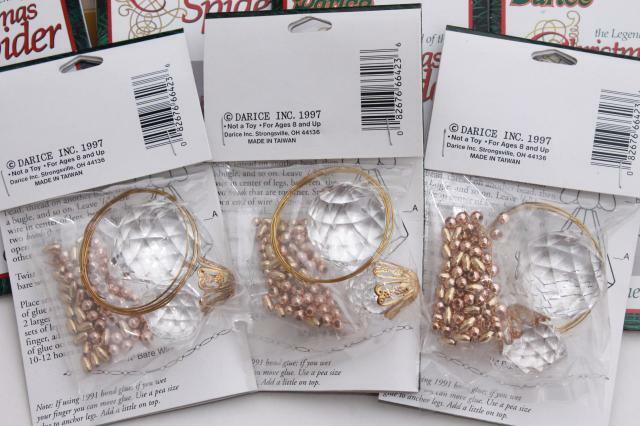 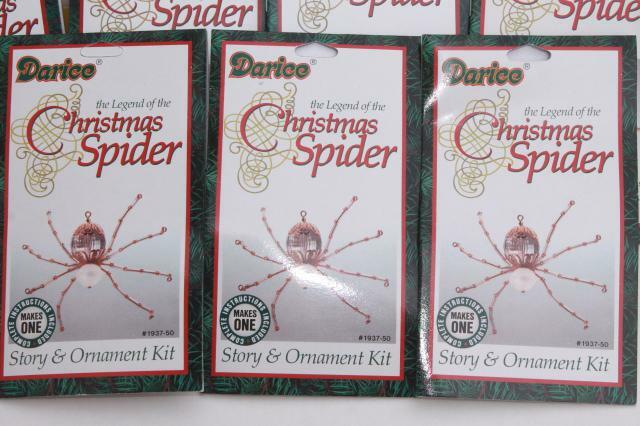 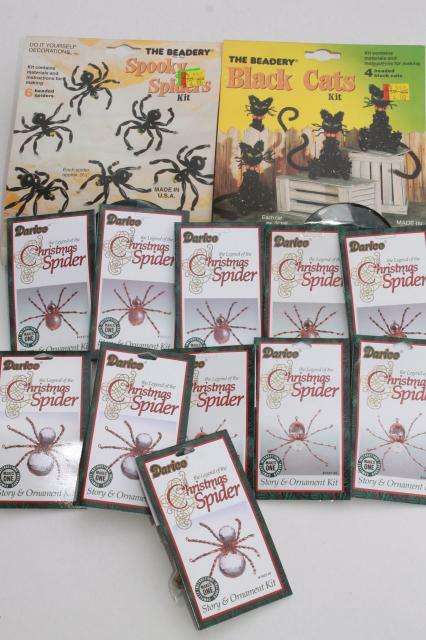 This is a fun bunch of ornaments if you like spiders!